My pal Melinda (http://www.musingsofthenail.blogspot.com)sent me a whole boat load of fantastic items. My wife grabbed the yogurt covered pretzels, an energy bar and the fruit chews and pronounced them great. I was able to try the seaweed snack (salty and delicious and so light that each sheet melts on your tongue) and the fruit leather (a great refreshing snack after a workout). 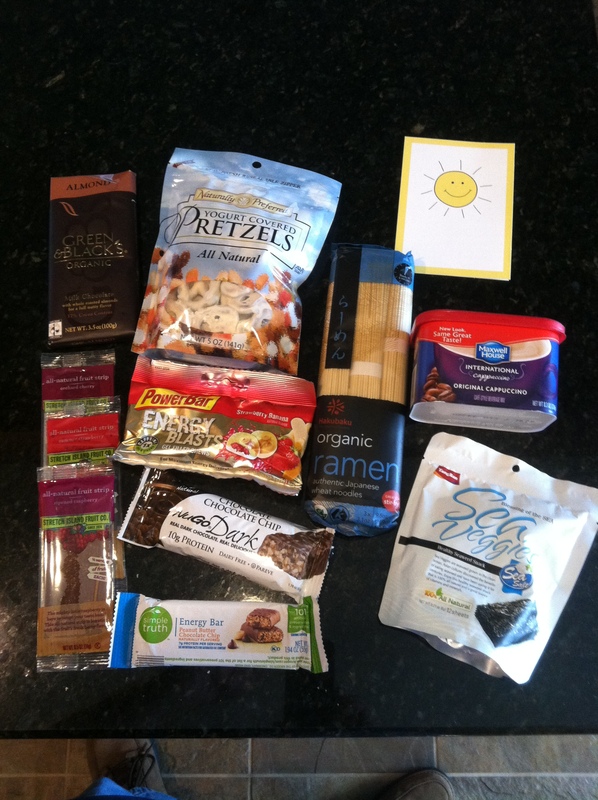 Thanks again to Melinda and check out the Foodie Pen Pal program at http://www.theleangreenbean.com/foodie-penpals/. Sounds fun ~ Signed up for next month!